At the core of employee engagement are relationships built on trust and a positive work environment that keeps an organization’s employees happy, healthy, and engaged. Whether it's uncompetitive pay, lacking development opportunities, unavailable managers, or unappealing benefits, there are many reasons today’s workers cite for being disengaged with their work. Automation is currently transforming the world of HR and payroll, as a function and as a service. Thankfully, the emergence of the cloud and Software as a Service (SaaS) applications have made it possible for providers to tackle the complexity of global policies and practices. With automation comes an opportunity to think about the employee experience and address outdated systems that may be preventing an organization from achieving its talent strategies and goals. An excellent step in improving employee engagement is to integrate HR and global payroll data systems. By combining this critical information, multinational organizations are equipped to centrally manage and analyze employee-related data to create significant efficiencies and improvements for both functions. 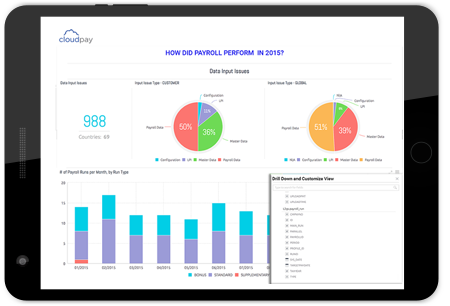 When choosing payroll and HR technology, it is often limited budgets, existing internal processes, and the bottom line that drive decisions. As a result, many organizations are still faced with using outdated and disparate systems that were implemented when integration wasn’t an option. 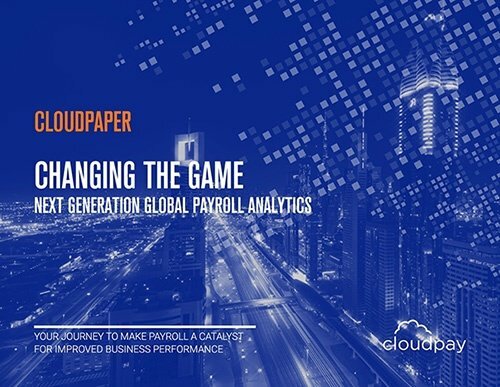 Global payroll data is an example of information that can offer a vast amount of insight for executives to reference when making business decisions. But if that data is not incorporated or accessible within other HR systems, the data becomes less relevant. By comparison, with an integrated approach to HR and payroll systems, an organization can conduct a meaningful analysis of payroll data that—when combined with other relevant employee data (e.g., benefits, tenure, performance, development)—has the potential to provide executives and HR leaders with all the figures that impact employee engagement. Integration puts required information in one location so that an organization can assess competitive pay in the market, determine the financial requirements to employ staff around the globe, and develop robust HR programs to make meaningful decisions around how to engage employees best. 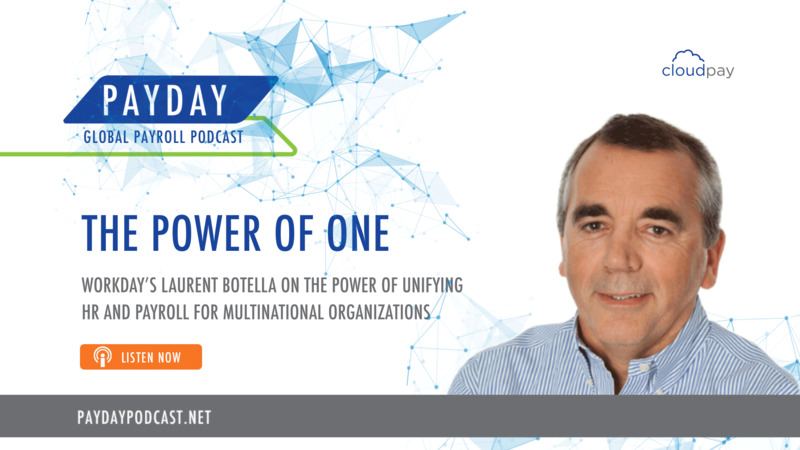 Organizations that run their multinational payroll on a single, unified platform will reap the benefits of an engaged workforce. A system that is easy for everyone from top executives to system administrators to frontline employees to use not only streamlines operations, it also demonstrates a commitment to understanding and improving the employee experience, and to putting yourself in their shoes. “Picture yourself as a new hire, a fledgling manager, or an employee who just gave birth to her first child. What are your interactions with the company like? Can you get the information you need quickly? Are the company’s communications effective? Is the required paperwork onerous and redundant? Are the processes convenient? All of these routine touchpoints contribute to employee experience,” according to the article “Creating an Optimal Employee Experience” from the Society for Human Resource Management (SHRM). HR leaders and other executives may be afraid to ask for feedback about employee touchpoints with existing systems, for fear of facing unrealistic requests. That may occur, but if you don't ask for employee input about how processes and procedures impact their experience, you risk the repercussions of not removing barriers. It's better to seek feedback, learn what needs to change, and be transparent about what is and isn’t possible. When it comes to engagement, seeking input about ease of use is a meaningful way to reinforce relationships built on trust and a work environment that supports employees. For administrative users who access payroll and HR systems as part of their daily work, systems must be standardized, synchronized, and available in real time. 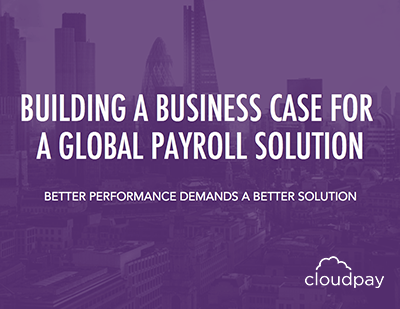 Many international payroll providers aggregate data from multiple sources. These systems and their data are not always compatible and can at best cause confusion and at worst create unreliable information and inaccurate analysis. Issues with global payroll and HR data not only inhibit productivity for system users, but also thwart productive use of the information for strategic purposes. To positively impact critical drivers of employee engagement (respectful treatment, compensation, and benefits, according to SHRM’s 2016 Employee Job Satisfaction and Engagement survey), an organization must have access to a comprehensive set of all data related to employees. A payroll platform that offers full integration with a variety of human capital management (HCM) providers enables leaders to make informed decisions regarding these relevant payroll and HR metrics, and overall engagement. As multinational businesses continue to expand their reach into new territories, they often encounter unforeseen challenges with different payroll and HR regulations and requirements. Powered by integrated and automated systems, HR and payroll leaders have an opportunity to serve as advisors to the business by delivering strategic value that will enable an organization to engage employees around the world.